Tibet the land of mystery, magic and Himalayan scenery is a small country situated at the lap of Himalayan range. This fascinating country is blessed with natural beauty and flourished with cultural touch. Tibet offers fabulous monasteries, breathtaking high-altitude treks, stunning views of the world’s highest mountains and one of the most likeable peoples you will ever meet. This small and fascinatingly beautiful country is blessed with beautiful natural wilderness. Tibet spans the worlds largest and, with average heights of over 4,000m, also the world's highest plateau. The Tibetan Plateau also spans most Qinghai, western Sichuan provice, northern Yunnan, and lastly southwestern Gansu. Consequently, Tibet is often referred to as the "Roof of the World". Parts of the region (northwestern region) are so remote they remain uninhabited to this day. Being a small cultural country flourished with Himalaya’s scenery and beautiful natural wilderness, this landlocked country is the best place to commence trek or tour. In the mid-7th century, Songtsan Gampo established the unified Tibetan Empire, and married two princesses, one from China and one from Nepal. Tibet and Tang China fought repeatedly for control over the Silk Road during this time. Although the country was unified, it was hardly ever peaceful and between the 9th century and the mid-17th century it was often involved in chaos. This period finally drew to a close when the Dalai Lama invited a tribe of Mongols to arbitrate. The Mongols under Altan Khan created a symbiotic patron-priest arrangement, whereby the Mongols provided military and governmental leadership and Tibetans would provide religious instruction. Tibet the country of religion, beauty and peace is also the home of the great Dalai Lama. Recently, Tibetans have undertaken a series of self-immolations to protest Chinese rule and lack of religious freedom. In addition, the Chinese regime continues to draw human-rights criticism to itself with its policies, including brutal repression of protests and extra-legal detentions. Tibet is a Himalayan country with a suitable and pleasant weather condition. The Tibetan plateau is surrounded by two mighty ranges, where Himalayan range consist of the world highest peak Mt.Everest situates from south to west and Thanggula ranges in the north, alpine territory conditions severe, dry and continental climate in Tibet, with strong winds, low humidity, a obscure atmosphere and a huge fluctuation in annual and summer daytime temperature. The strong heating of the earth's surface during the summer months and the freezing in winter produces clear seasonal variations in atmospheric circulation and enhances the role of local centers of atmospheric activity, so the climate and weather in Tibet is very variable. Tourism to Tibet is strictly controlled by the Chinese government, and restrictions were further ratcheted up after the riots and before the 2008 Olympics. 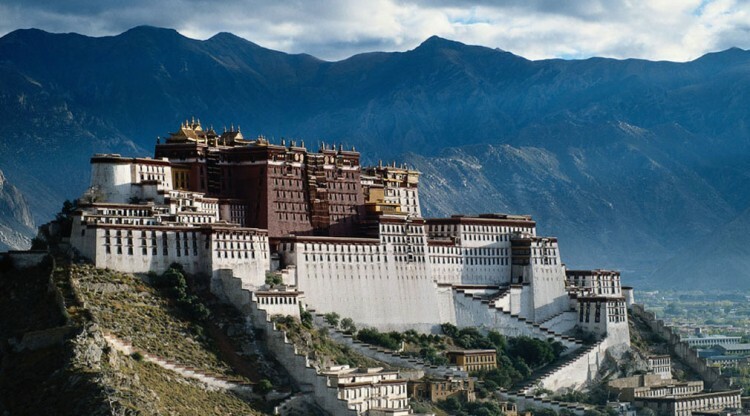 As of 2009, the previous "backpacker" tours, which included the permit and a couple of nights stay in Lhasa is no longer an option and all travelers must stay with an organized trip the entire time they are in Tibet. That means you will not be allowed to travel on an independent basis. Tibetans are usually quite happy to tell foreigners what they thought of the government, provided they are in a safe and private area. All foreign visitors to Tibet need one or more permits. The basic one is the Tibet Tourism Bureau (TTB) permit, which can be issued to you by travel agencies that is registered at Tibet Tourism Bureau in Lhasa. The official price of the permit is zero, but a tour agency usually charges around ¥800 RMB for the permit, as they will be responsible for the behavior of the tourists during their visit.